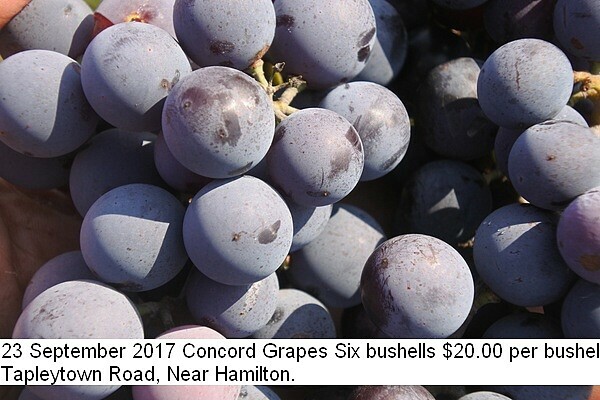 Concord Grapes were being offered for sale in my area. They appear perfect if a little late. Price $20.00 per bushel about 40 pounds, pick your own. I use around 100 or more pounds for making simple juice with just a touch of water added to make the texture drinkable. Method of producing the juice is unique. The grapes are removed from the green substrate via swiping across simple nylon screen about one square inch opening. Just so the grape falls through. The hand blender agitate and basically make a slurry of the cooked grape. I drink some daily until it lasts. It keeps well after pressure canning in one liter jars. 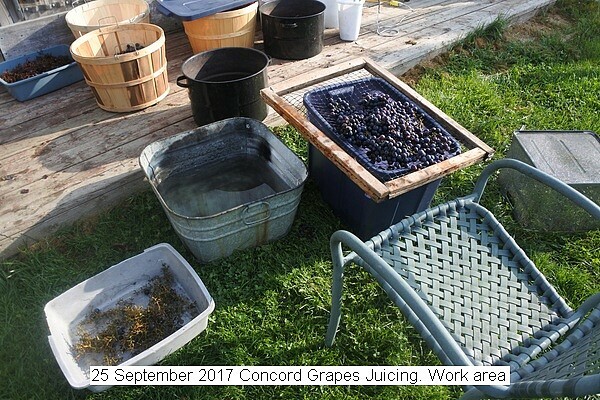 There are 6 bushels of Concord grapes to process into juice. The pictures depict the process. IMO this makes perfect juice with little effort, also in reasonable sized batches for the small home grower. I will be pressure canning about 160 one liter jars this year. The last of the six bushels of purchased Concord are being juiced. From sixty pounds per bushel about 240 liters were obtained of pressure canned juice. 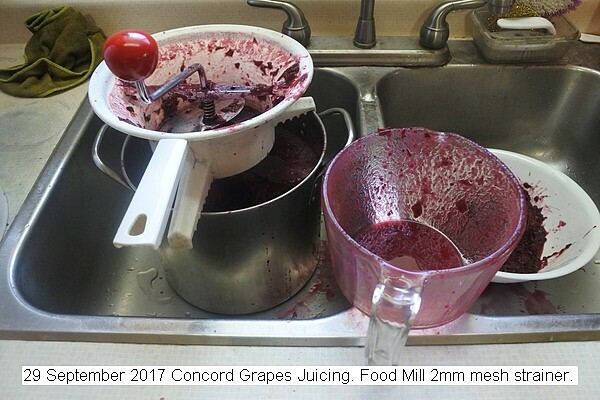 This entry was posted in Uncategorized and tagged 23 September 2017 Concord Grapes, Concord Grape Juice Canning., Concord Grapes, Concord Grapes Juicing., Pressure Cannng Grape juice.. Bookmark the permalink.